Happy Friday, y’all! 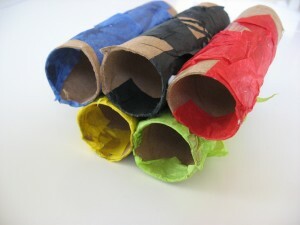 Tonight the Summer Olympics opens in London! Woot! 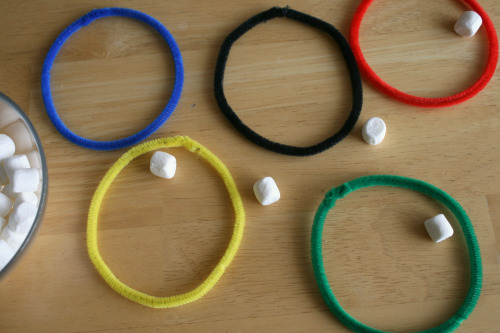 I am so excited to watch the Olympics this year. One of my favorite things is learning the athletes’ stories. 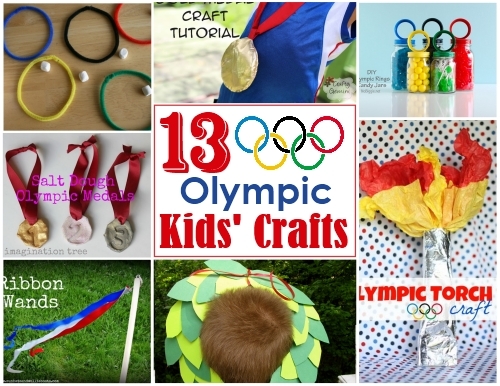 In honor of the Olympics, I put together some of my favorite Olympic Crafts for Kids. I plan on doing a few of these with Ridley in the next several days. 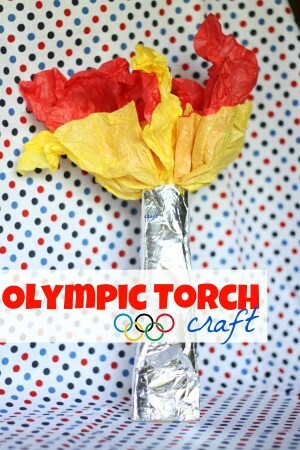 I love how simple this Olympic Torch is from I Can Teach My Child. 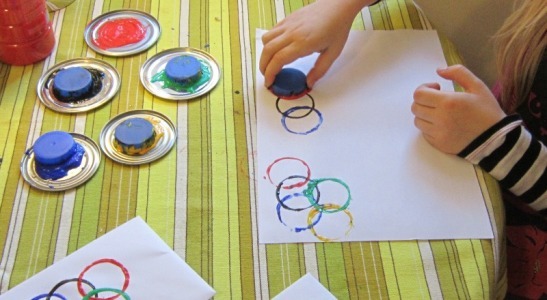 We are definitely doing this incredibly easy Olympic Rings craft from Easy Preschool Craft. 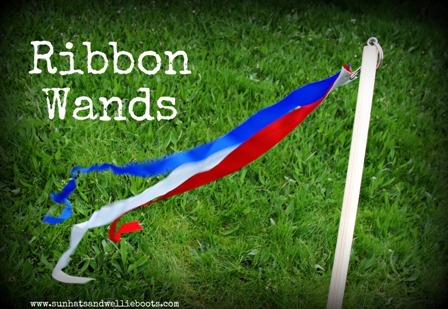 How fun is this Ribbon Wand?! Love it from Sun Hats and Wellie Boots! Create a 3D Olympic Rings Craft from No Time For Flash Cards! 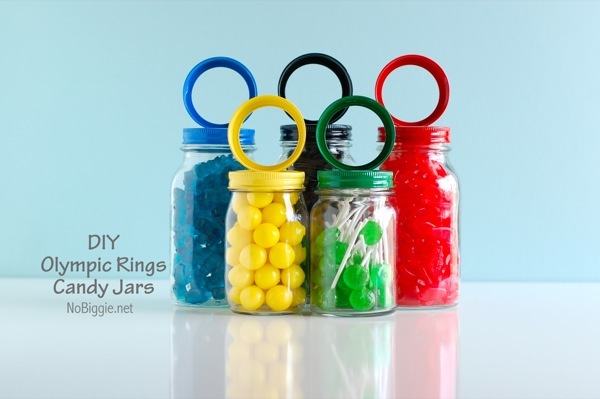 These Olympic Ring Candy Jars from No Biggie are just fabulous! It’s not really a kids’ craft, but I know they would love to help with it…especially the candy part. Ha! 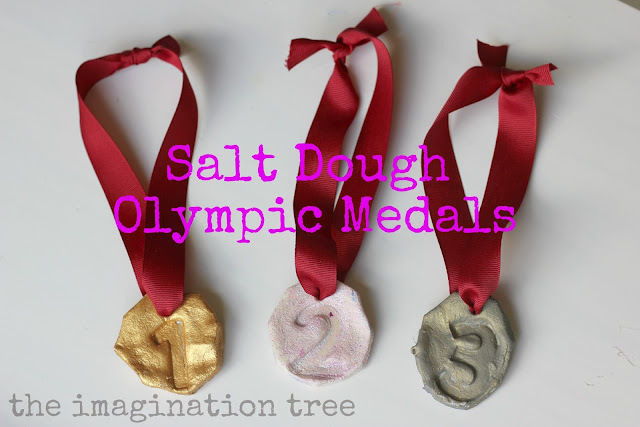 Make Salt Dough Olympic Medals from The Imagination Tree. I think these are so unique! 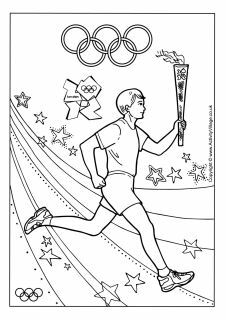 There are a bunch of Olympic activity pages for kids from Activity Village! Give a kid a canvas, paint and a dixie cup and let them go at it! 🙂 Great idea from East Coast Creative Blog. 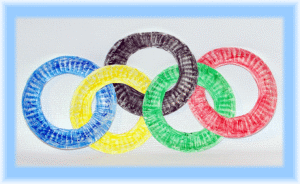 I realize that this is a “winter” olympic ring toss from Make and Takes, but I love the Olympic rings made from pipe cleaners! 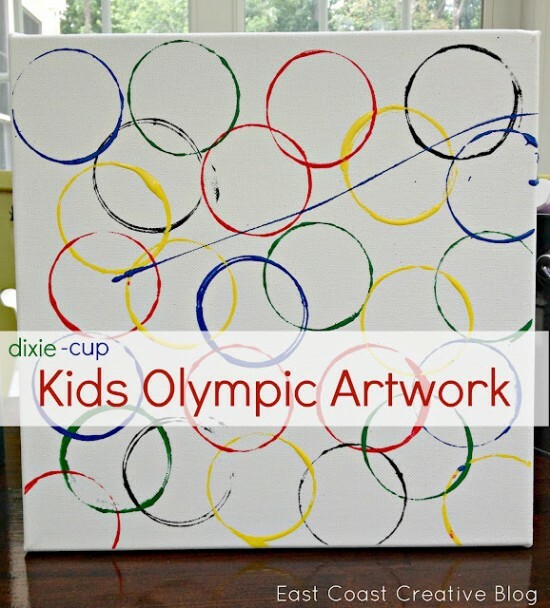 Here’s another idea for painting Olympic Rings from Mermaids Creations…use lids as stamps. I adore this felt flag banner from Silly Eagle Books. What a great way to learn the flags of the world! 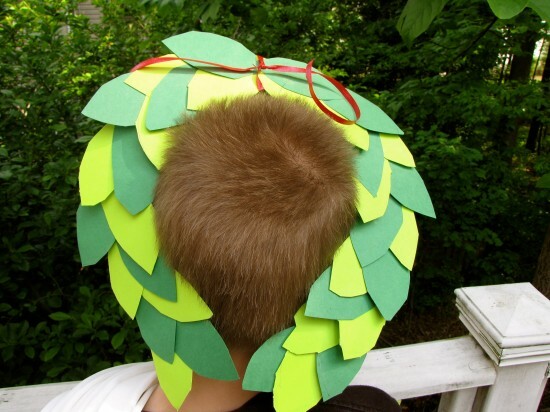 Every kid needs a paper laurel wreath if they are watching the Olympics. LOL! 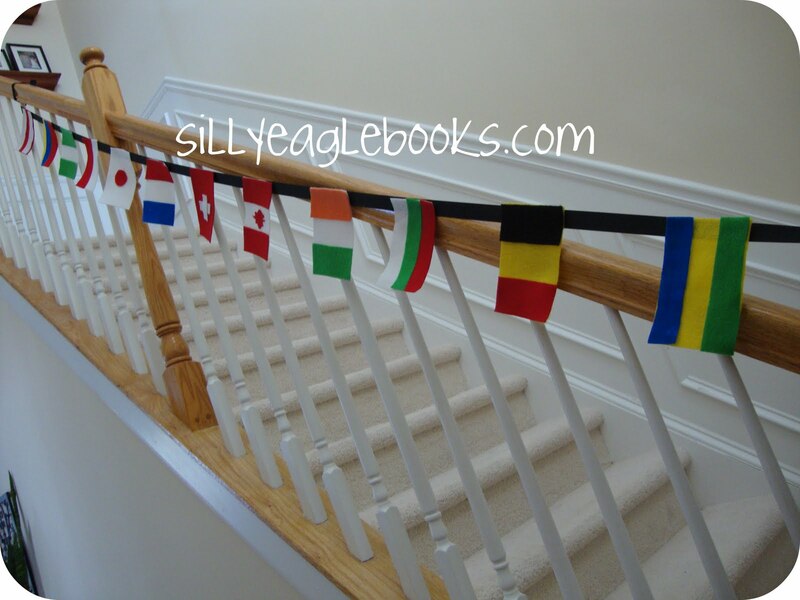 This one is great from Easy Preschool Craft! 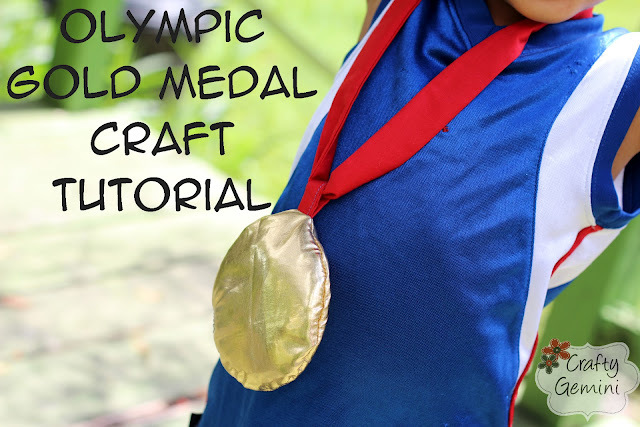 I hope these ideas have inspired you to get some Olympic crafting on with your children! Are you excited to watch the Olympics?? 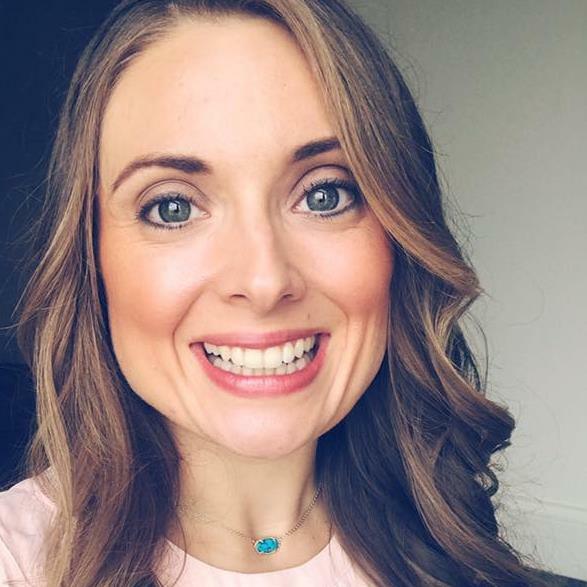 What is your favorite sport? I love the flag banner craft. My guys is a little too young yet to tackle this! Love the head wreath you made, really cool idea. 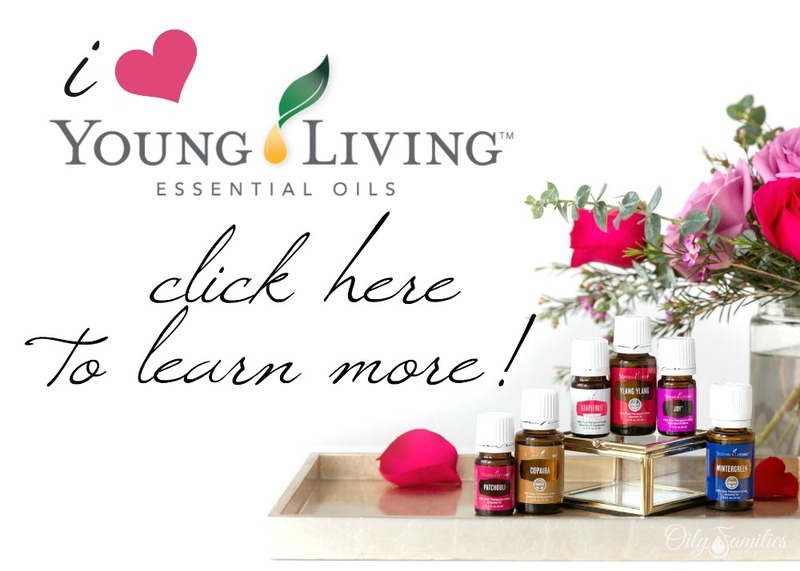 I linked to your page!